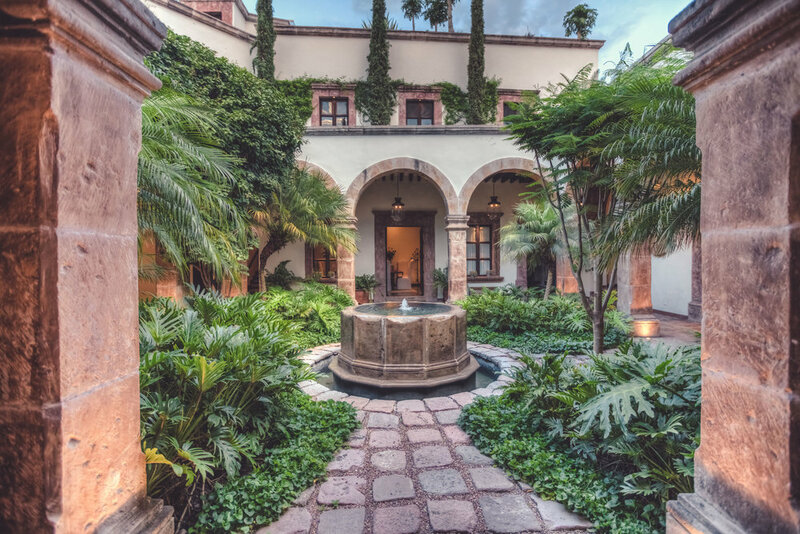 The entrance to Casa San José opens into an impressive internal courtyard, complete with commanding stone columns, soaring archways, and a serene central fountain. This traditional reception patio is a delightful sanctuary that features tranquil sitting places among rich landscaping and well-aged plantings. The central courtyard acts as the fulcrum of the house, providing access to four of the six bedroom suites and the house’s main living areas. San Miguel has a reputation for its magnificent sunsets, with an ever-changing spectrum of colors on offer every evening. 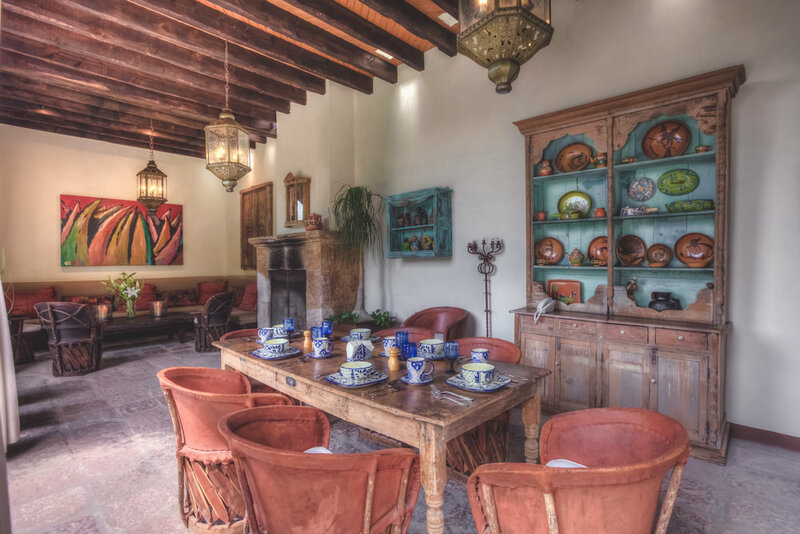 Casa San José’s rooftop terrace is the perfect place to enjoy the show. Feeling more like a garden, the rooftop has a shaded pergola pagoda, a lovely central fountain, and is surrounded by olive trees, passion fruit vines, and colorful flowers. From above, guests capture a sweeping 360-degree panorama of San Miguel’s historic skyline which encompasses some landmark sites including the Parroquia de San Miguel Arcángel, the Templo de San Francisco, and the domed Oratorio.